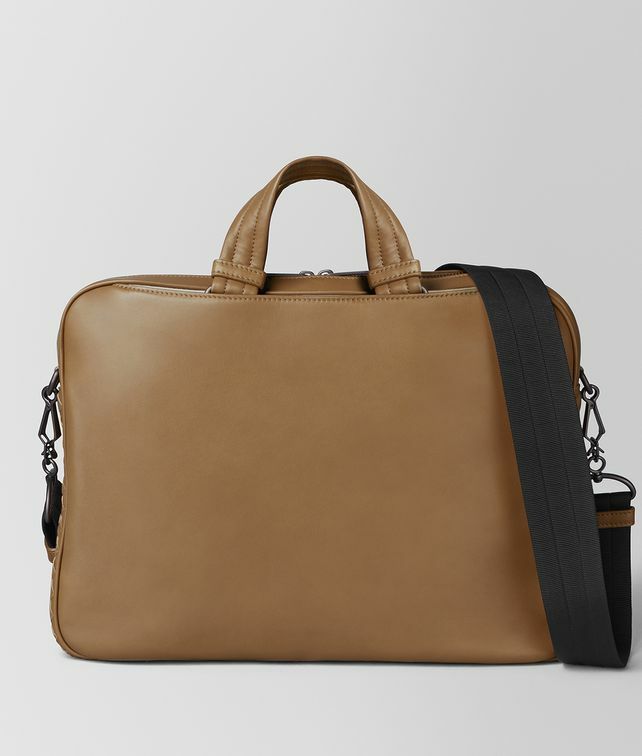 Crafted from exceptionally soft butter calf leather, the classic briefcase is discreet but wholly distinctive with a sliver of contrast leather visible from a subtly low-cut external pocket. Its side panels are made of hand-woven intrecciato. The briefcase features a detachable nylon cross-body strap, two external pockets with a magnetic fastening, and an interior zip pocket and phone pocket. Finished with the signature brunito hardware. Depth: 5 cm | 2"
Handle drop: 10 cm | 3.9"